A long time ago, the charming Castellammare del Golfo on the Golfo di Castellammare, used to be the port for the towns of Erice and Segesta. Later it became an Arab fortress. 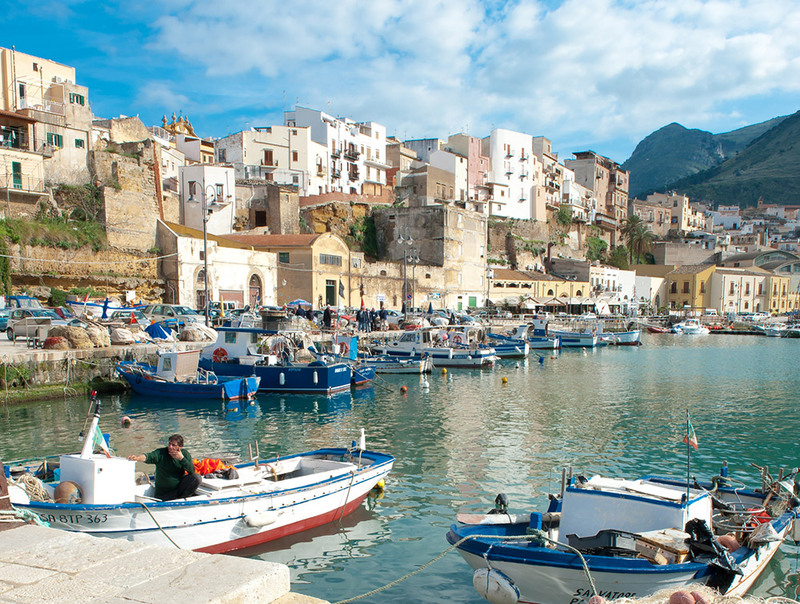 The port – which is dominated by the castello – is the biggest attraction of the town: in the early morning you see the fishermen go out to sea in their typical white-blue fishing boats, to later return with delicious fresh fish. From the harbor you can go on organized boat trips, but you can also rent your own boat if you want to explore the Golfo di Castellammare on your own. Sitting on a terrace overlooking the harbor, you can enjoy a cocktail, Sicilian wine, home made ice-cream or a refreshing Sicilian granita. 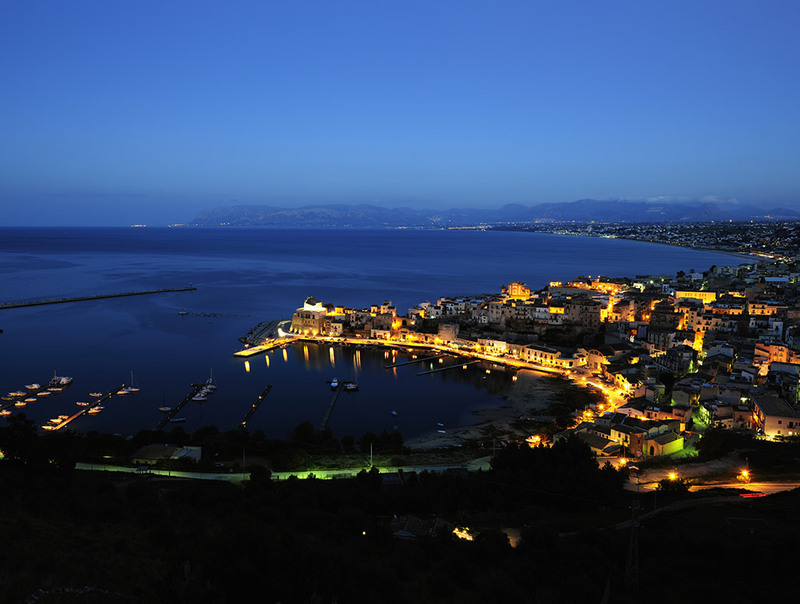 In the summer period Castellammare’s harbor comes to life at night and the area becomes a pedestrian zone, with lots of bars, pubs and restaurants. The corso is a nice area for shopping and from the town square you have access to the smallest of the two sandy beaches. The other, much larger, beach is located just outside of Castellammare del Golfo. In the summer period there are several lidos, where you can rent sun loungers and beach umbrellas, but the main part of Castellammare’s sandy beach is free of charge. 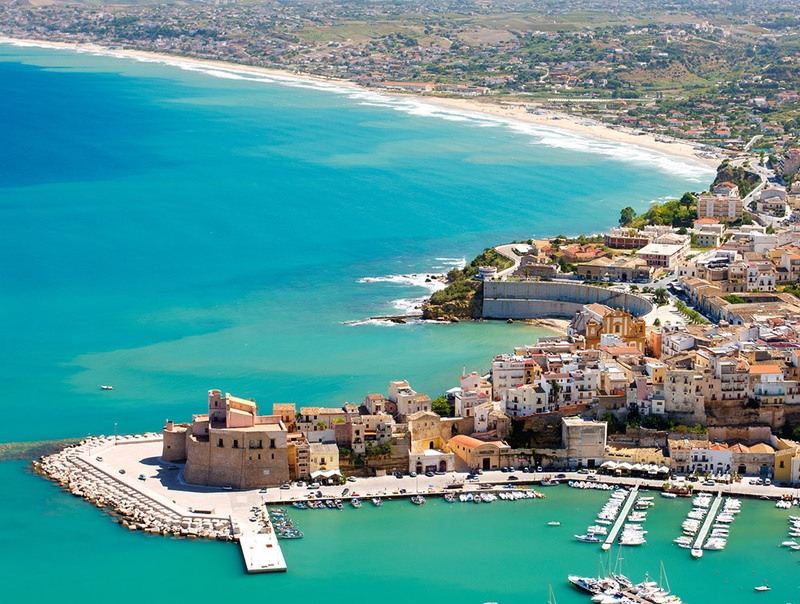 Castellammare del Golfo is also an excellent starting point for visiting all places of interest in the area. 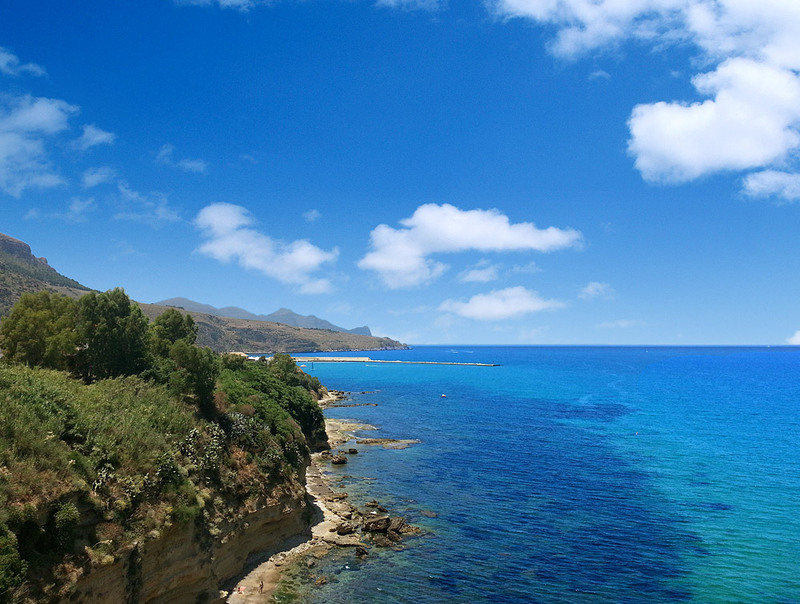 You can easily reach the famous nature reserve Lo Zingaro (10-15 minutes by car), and the small town of Scopello, with the famous tonnara, where we organize scuba diving activities and boat trips. Other locations well worth a visit are the medieval town of Erice, the temple and amphitheater of Segesta, the archeological park in Selinunte, the salt pans (saline) near Marsala, the cathedral of Monreale, the city of Palermo and many more!